Quality and safety is of the utmost importance to us. See how we ensure our quality by looking at the information below. 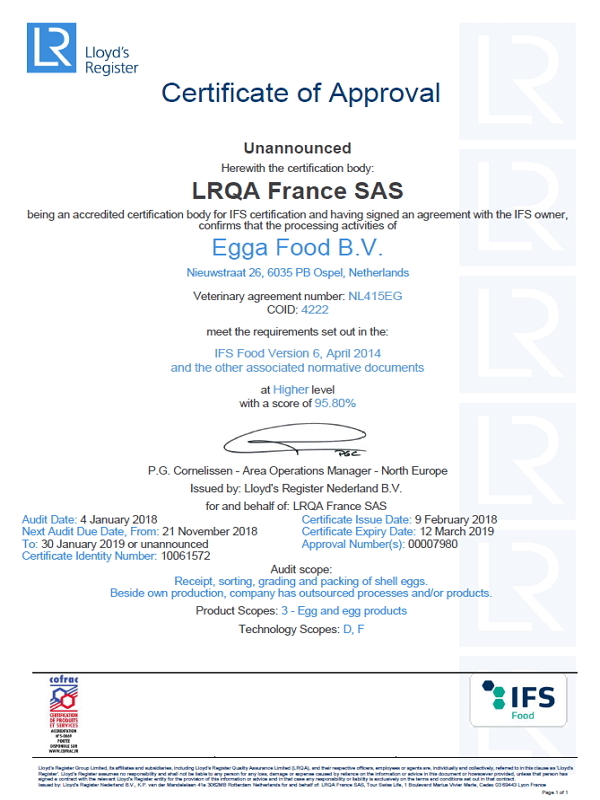 Riskplaza is a database that contains information on the food safety of specific ingredients, including the risks of using some ingredients as well as the measures to ensure that these risks are accounted for. When conducting a Riskplaza-Audit+, certifying bodies conduct an additional audit on top of the existing food safety certificate. 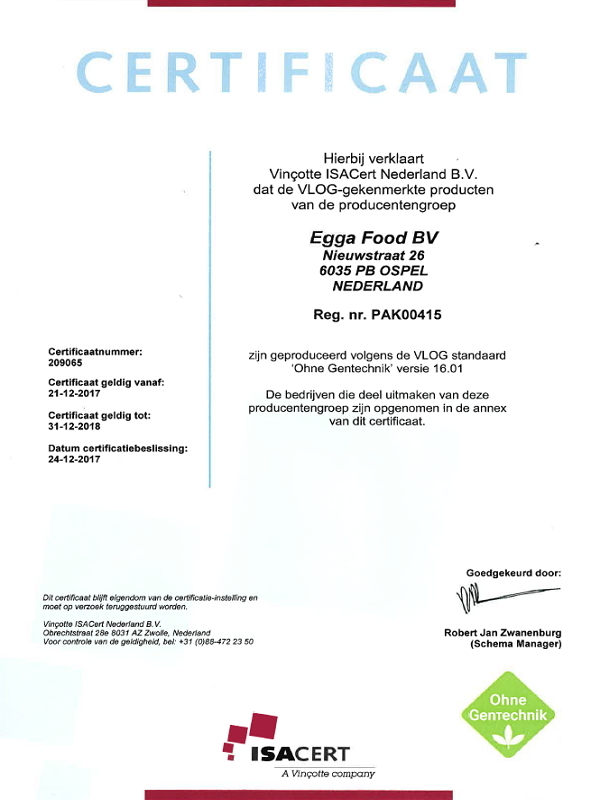 This additional Riskplaza-Audit+ aims to ensure the food safety of ingredients. 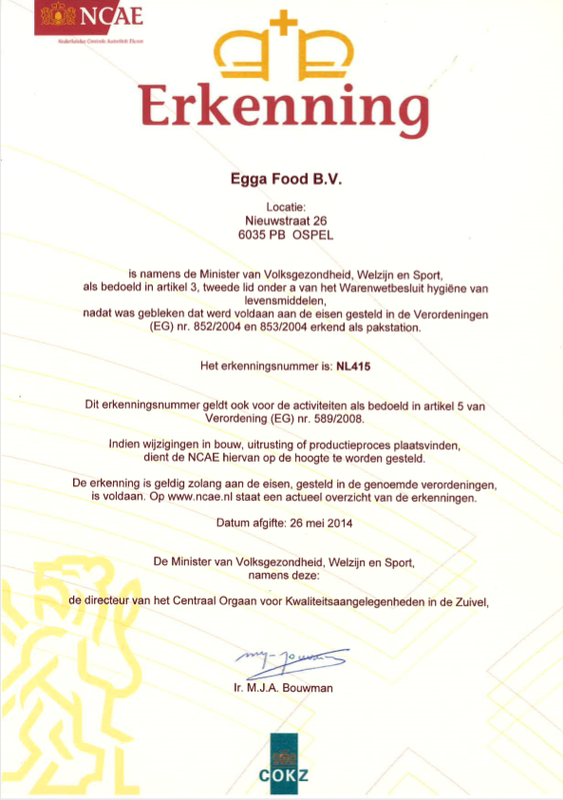 This is the certificate awarded by the Netherlands Controlling Authority Eggs and is abbreviated to NCAE. 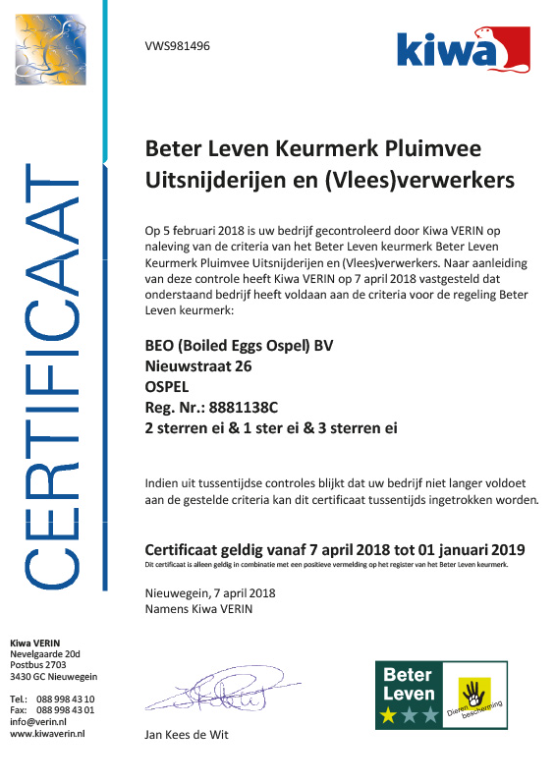 The NCAE certification belongs to the Netherlands Controlling Authority for Milk and Milk Products (COKZ) and is charged with monitoring the eggs and poultry meat sector in the Netherlands. 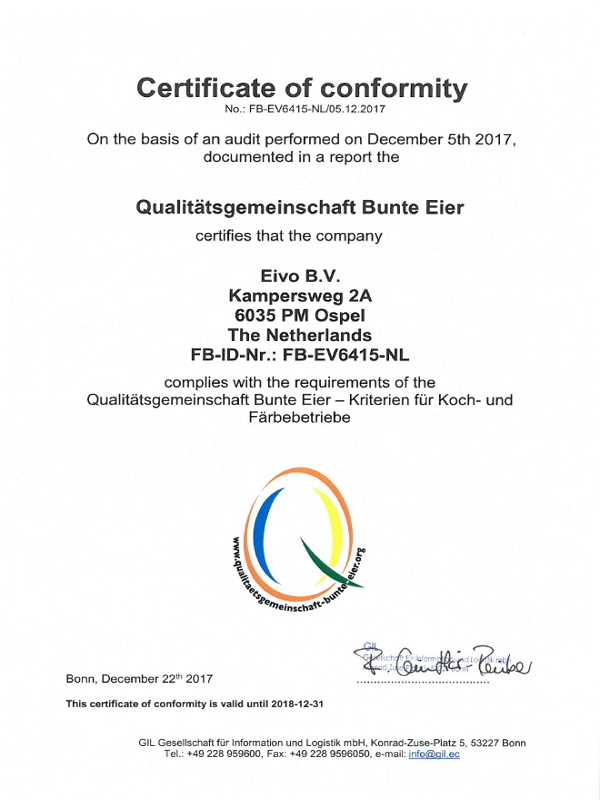 Being awarded the SKAL certification shows that we ensure that the reliability of organic products are transparent for customers and consumers. 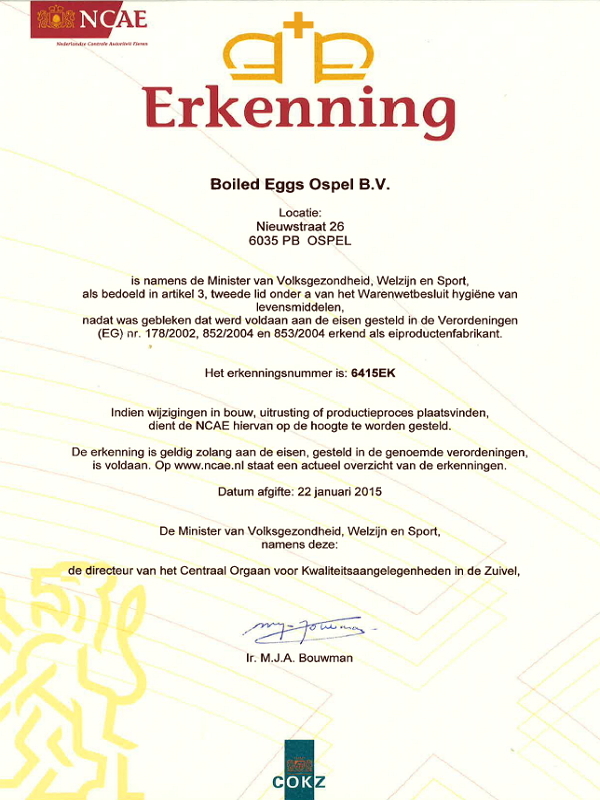 This is SKAL’s way of contributing to the demonstrable reliability of the organic sector. 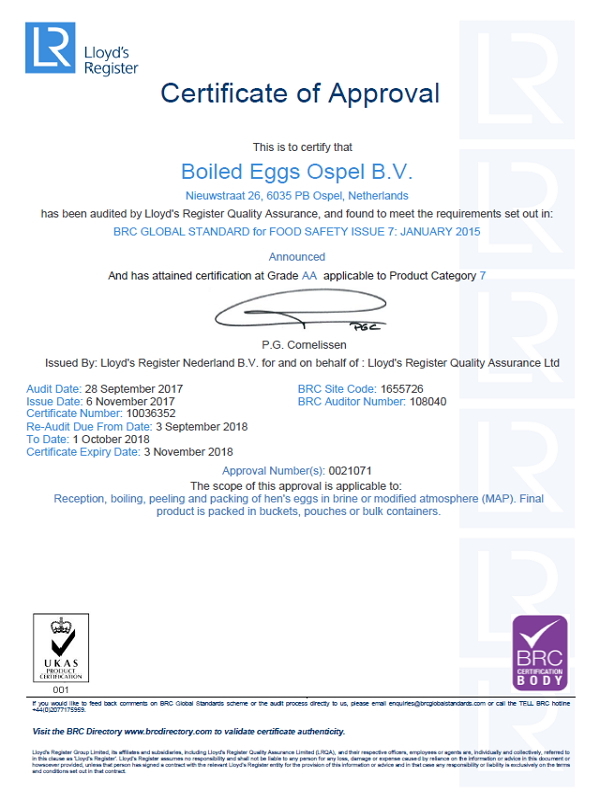 The BRC Global Standard for Food Safety certification is awarded based on quality standards created in the UK for producers of food products. The BRC Global Standard for Food Safety also lists a number of quality requirements for food safety, production, and environment. 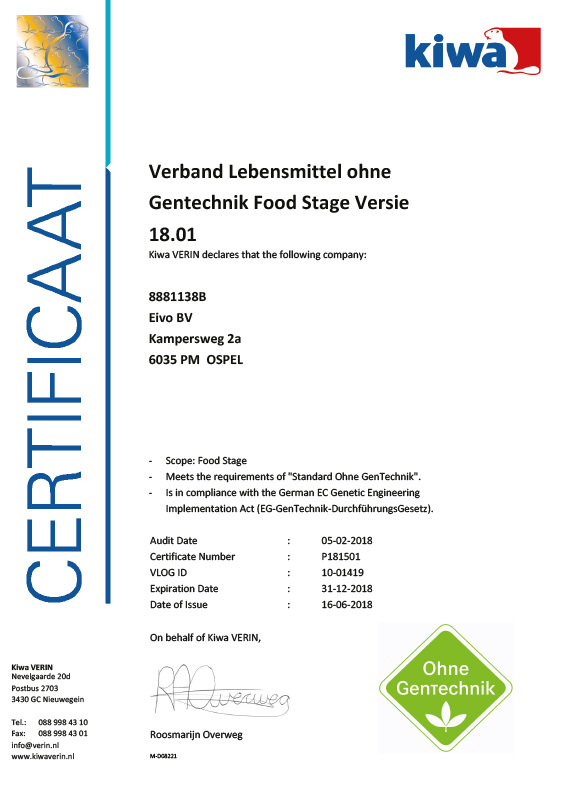 German retailers developed a certification that closely matches the British BRC standard: the International Featured Standards Food (IFS) certification. French retailers have also signed up to the IFS standard. 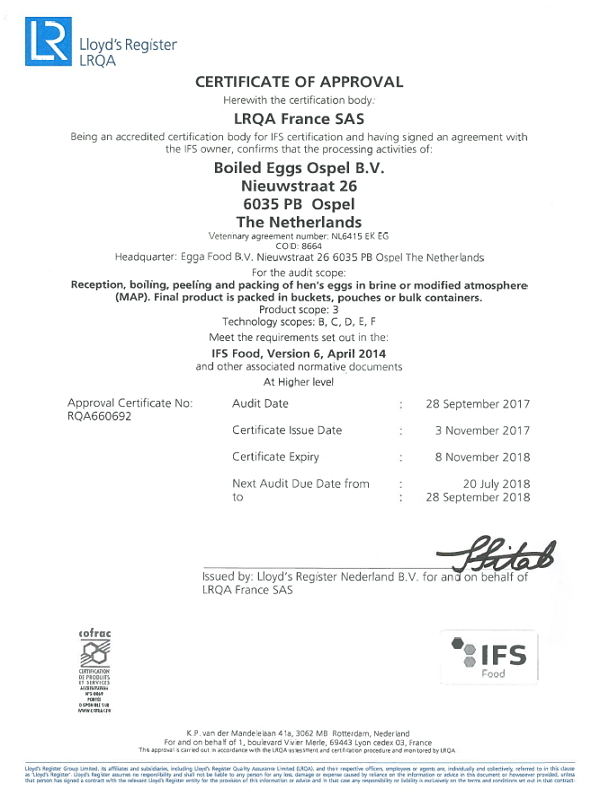 German retailers developed a certification that closely matches the British BRC standard: the International Featured Standards Food (IFS) certification. 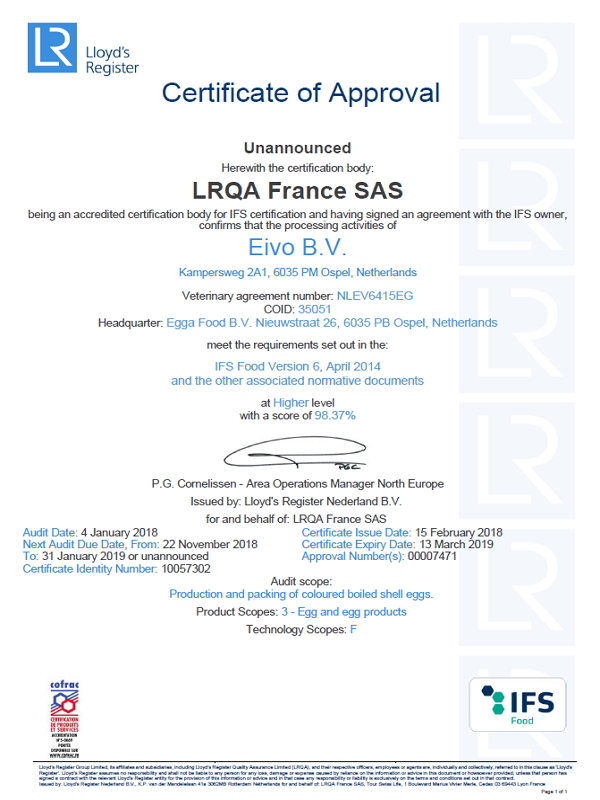 French retailers have also joined with the IFS standard. 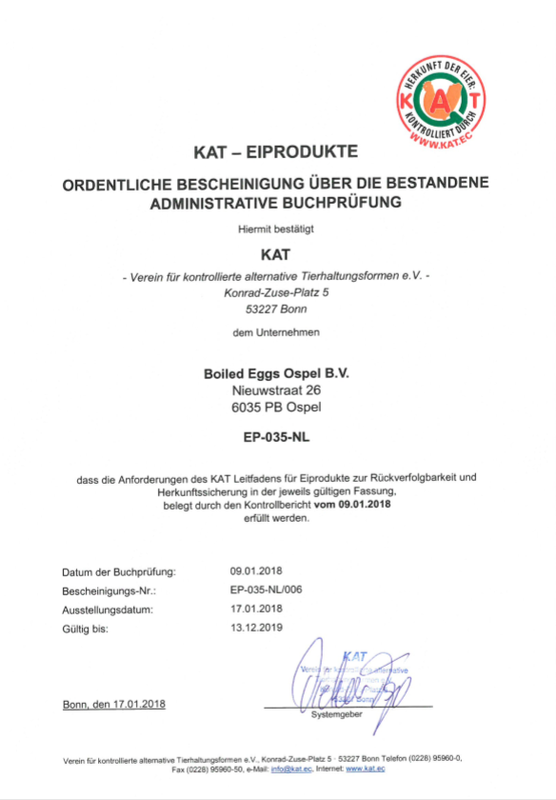 KAT is a certificate which originated in Germany to oversee the traceability of eggs from organic, barn, and free-range egg housing systems in Germany and other EU countries. 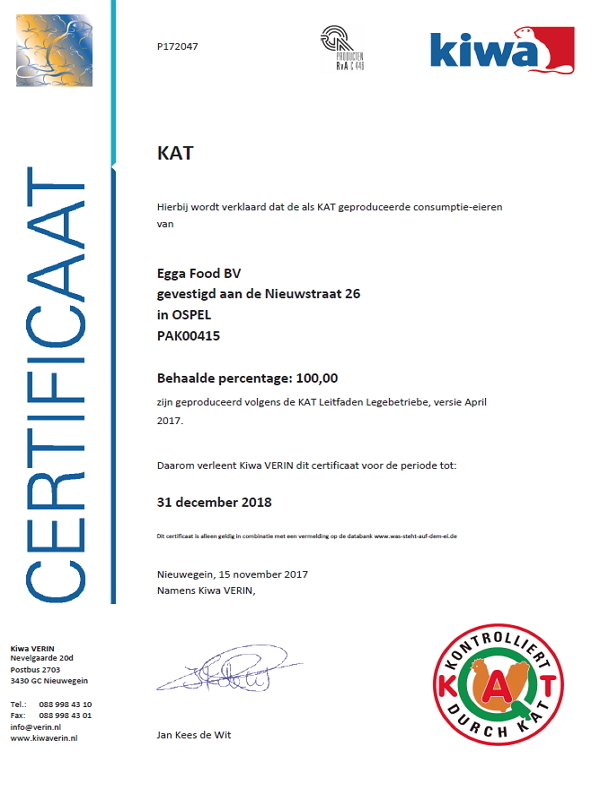 KAT's main aim is ensuring the traceability of eggs to guarantee the safety of consumers. Feed suppliers, packing stations, and poultry farms that are members of KAT deliver data that are then entered into a central database. This ensures that the origins of a product can be traced at any moment. 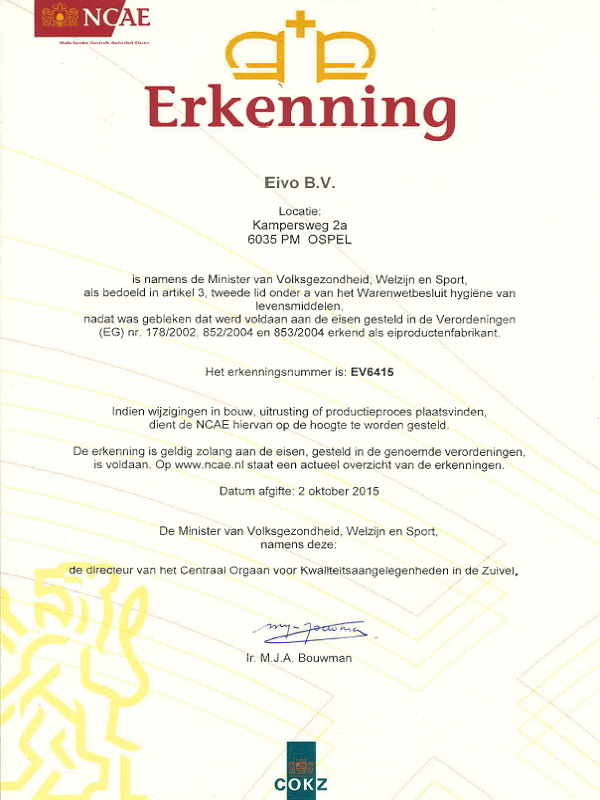 In addition to EU trading standards, KAT's certifying bodies also check hygiene requirements and animal welfare standards. 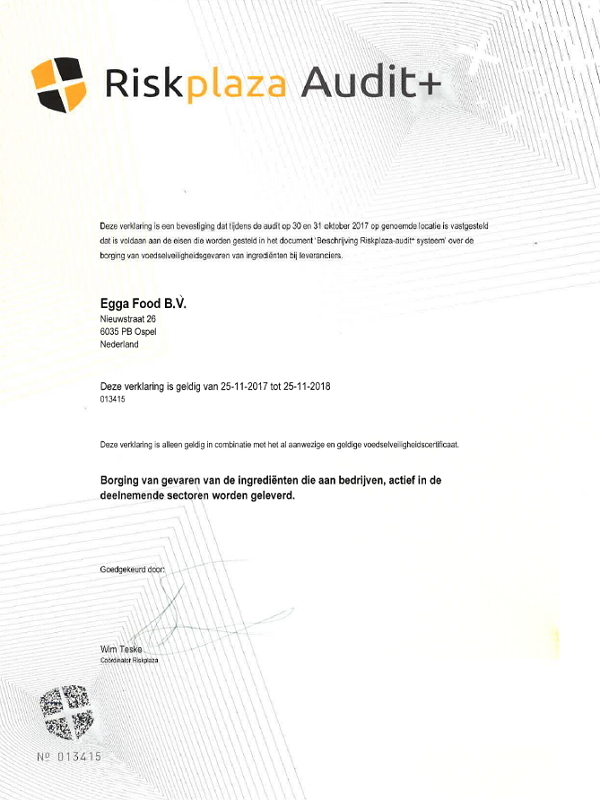 Better Life label (BLK) is a certificate that was co-created by the Dutch Society for the Protection of Animals (SPA). BLK audits are conducted by the same accredited certified institutions that conduct IKB and KAT audits. VLOG is the abbreviation of Verband Lebensmittel ohne Gentechnik. Its members are comprised of German representatives of food producers, retailers, and other links in the food chain that advocate the production of food products without the use of genetically modified organisms (GMOs). VLOG has guidelines, written by feed manufacturers, laying poultry farms, and packing stations to safeguard the food system from GMO products. 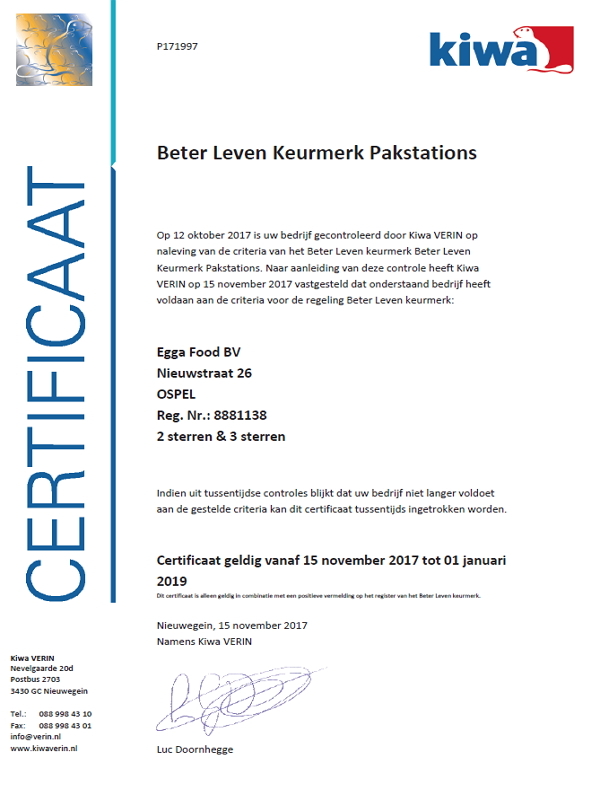 Dutch industry developed the Integrale Keten Beheersingssystemen (IKB, integrated chain control system) to provide guarantees regarding the quality, origin, and production method of products. 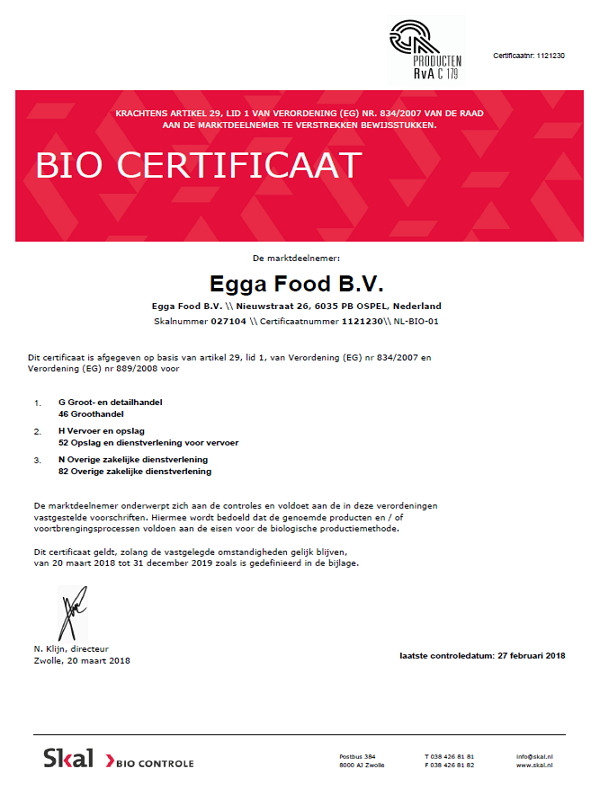 They audit for animal welfare, use of medicines, food safety (such as presence of salmonella), environmental contaminants, hygiene, and traceability. 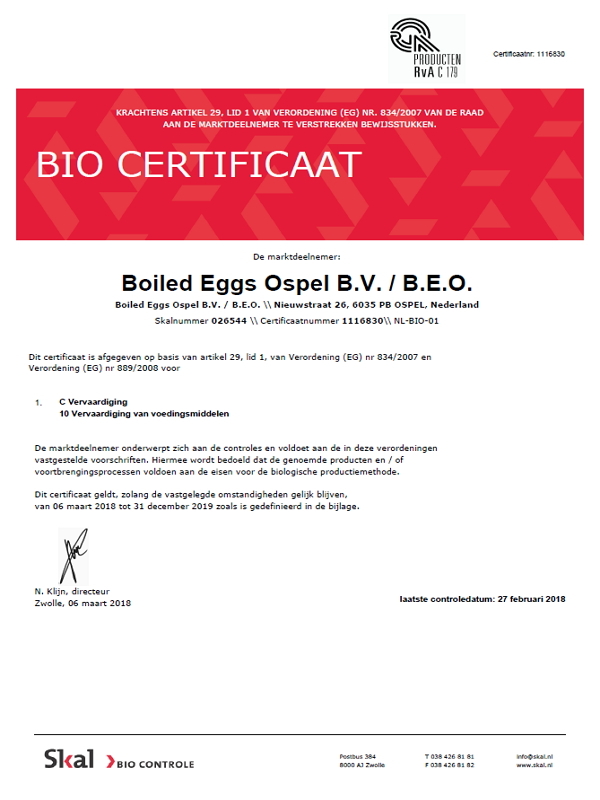 This is the certificate awarded by the Netherlands Controlling Authority Eggs – abbreviated to NCAE. 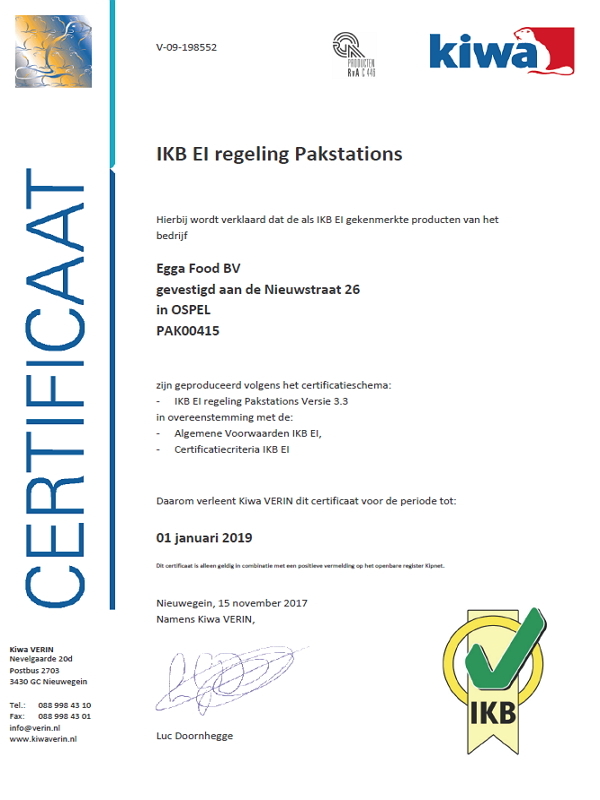 The NCAE certification belongs to the Netherlands Controlling Authority for Milk and Milk Products (COKZ) and is charged with monitoring the eggs and poultry meat sector in the Netherlands.